I ATE MOM’S GOOD CHOCOLATE SHE BROUGHT FROM EUROPE. MORE PLEASE! the floor. He is fine now, but keep chocolate away from dogs!! 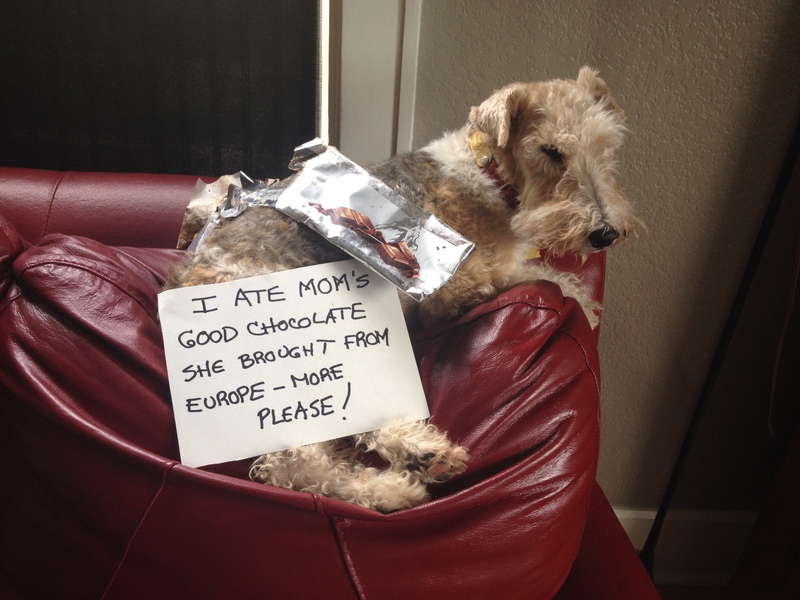 The post Fine European Chocolate appeared first on Dogshaming.